Arjen Robben’s absence is unlikely to derail Bayern Munich when they take on Eintracht Braunschweig in the DFB Cup. The Bavarian giants are 7/20 favourites to win the tie in bwin’s 3Way football betting market, with an unlikely victory for their 2 Bundesliga opponents priced at 11/2 and a draw available at 77/20. With Bayern favourites to win the Bundesliga this season and Eintracht Braunschweig plying their trade in the second tier of German football, there is likely to be a significant gulf in class between the two sides. This is unlikely to be affected by the absence of Robben, who injured his ankle in a pre-season friendly against AC Milan last week. His absence is compounded by the unavailability of another star winger, Franck Ribery, with the French international having succumbed to an ankle injury of his own last month. Even so, Bayern still have the likes of Thomas Muller and Mario Gomez to call on, and their pre-season form has been good enough to suggest that they will have more than enough to see off their opponents. They might have drawn 1-1 with Milan last week, but they still put in a fluid attacking performance which hinted at their goalscoring potential, while their 2-0 defeat to European Champions Barcelona in the Audi Cup final was largely contested by a make-shift team. And with Bayern being the most potent attacking outfit in the Bundesliga last season there are likely to be plenty of goals in Braunschweig, making odds of 12/5 on at least five goals being scored a tempting bet. A £25 free bet on there to be more than 4.5 goals in the match, available to new customers who sign up for a bwin account, would return £85. 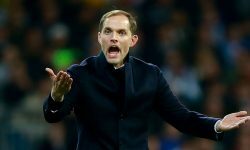 As for the chances of Eintracht Braunschweig, the second-tier side will have been boosted by the news that Wolfsburg, Werder Bremen and Bayer Leverkusen have already been knocked out by teams below them in the league ladder. Those who think there is a chance of Eintracht Braunschweig running Bayern Munich close could bet on the home team to score in the match at odds of 1/2. Can Liverpool tighten up in time for Valerenga? Can Shamrock upset the odds against Copenhagen?